SRC members who are interested in conducting private lessons with a certified instructor can purchase packages as an affordable rate. 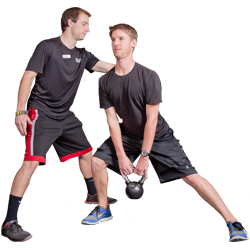 Private lessons are available in the following formats: yoga, mat pilates, pilates reformer, pilates chair, dance, TRX®, or boxing. Sign up at the front desk. 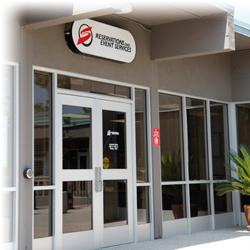 The SRC offers CPR, AED and First Aid classes throughout the semester for the CSUN community. 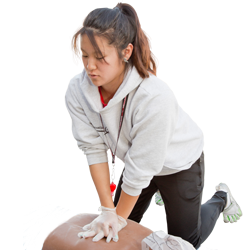 The goal of these classes is to help participants recognize and respond appropriately to cardiac, breathing and first aid emergencies. The courses in this program teach skills that participants need to know to give immediate care to a suddenly injured or ill person until more advanced medical personnel arrive and take over. Need a spot to store your gear while you work out? 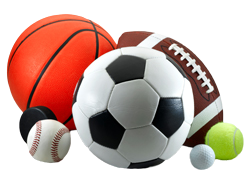 The SRC provides secure lockers for your personal use so you can hit the gym knowing your belongings are safe! Full size, quarter size, half size, and ADA (reserved for those that meet qualifications) half size lockers are available for day use in the locker rooms on a first come, first serve basis. All full-size lockers are for day use only. 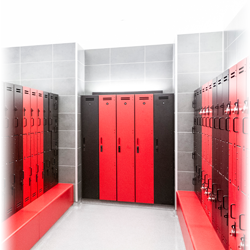 Lockers are available for rent on a term basis for members with a term membership. Please see the full list of rules and regulations for lockers below. Please see the SRC Fees list for prices. 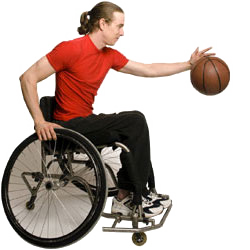 Accessibility accommodation can be found in all locations within the SRC, from the Studios, to the bleacher seating of the Red Ring Courts, all three training zones, the locker rooms, and the Rec Pool.